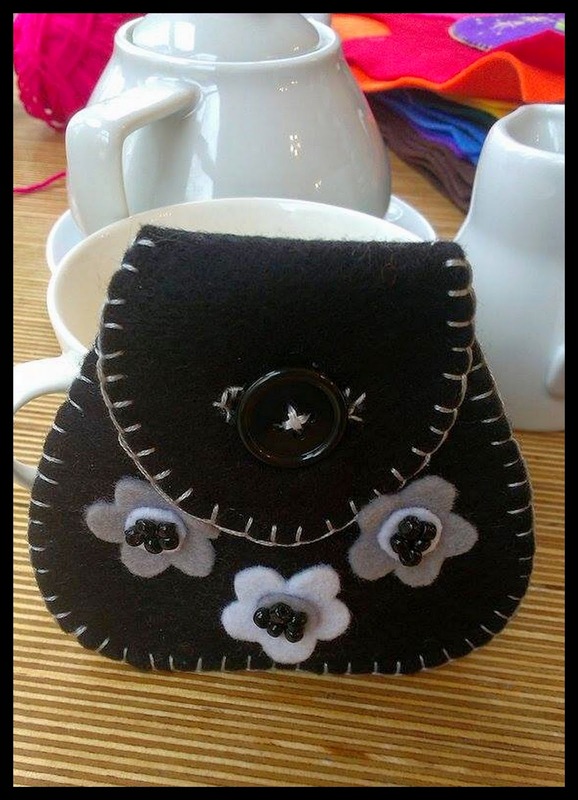 Here's a photo from the last Make & Take at Horse Carrs, where we made Felt Coin Purses. This one was made by one of the lovely ladies who came along. We thought it was gorgeous!!! We really enjoyed this project, so I will probably repeat it at Fresh From The Studio.